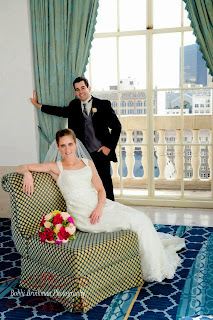 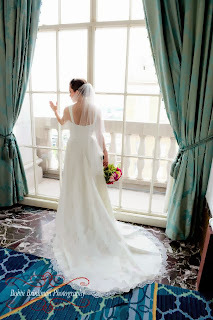 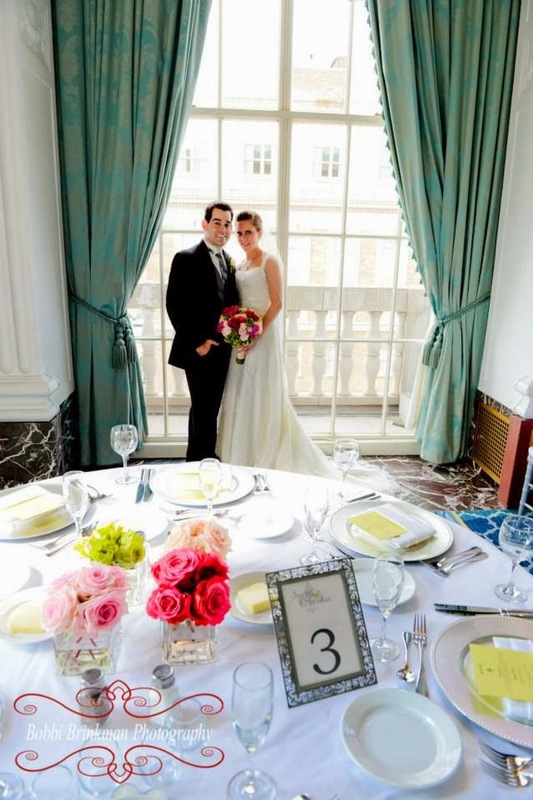 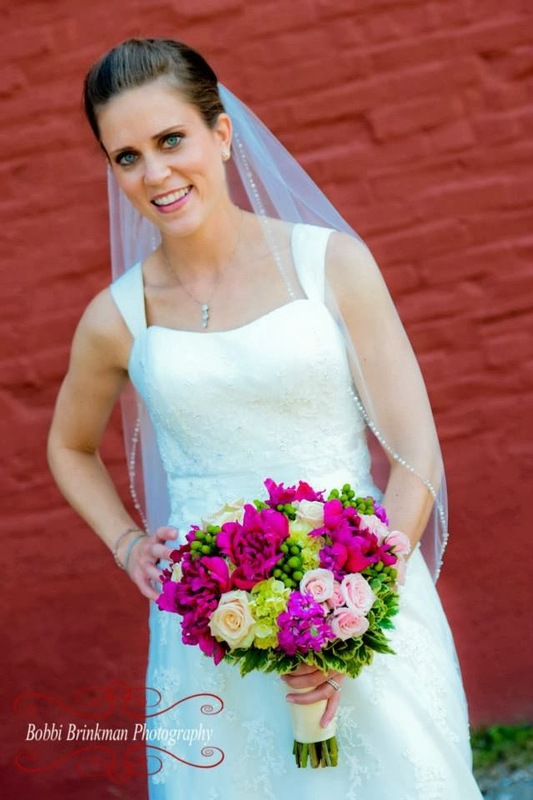 Susan and Brendan used bold colors to give their day an even brighter tone. 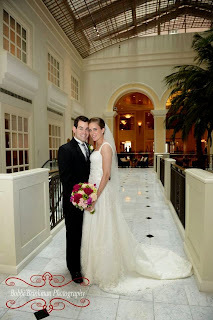 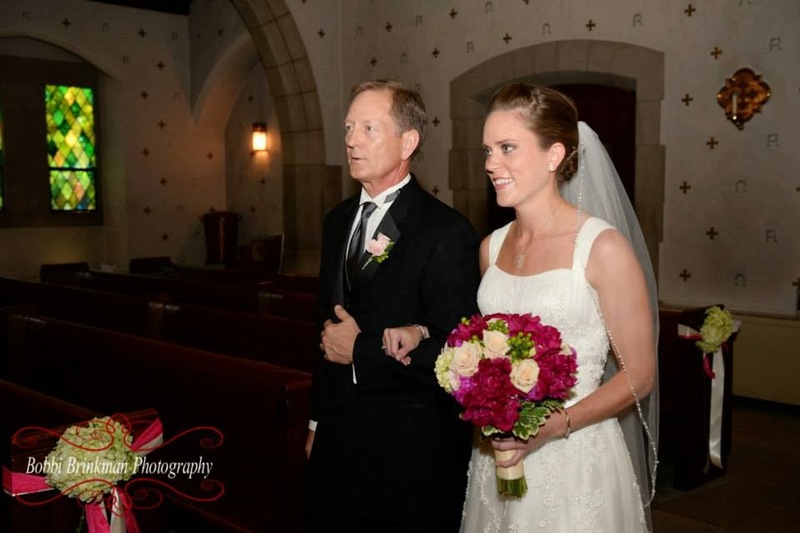 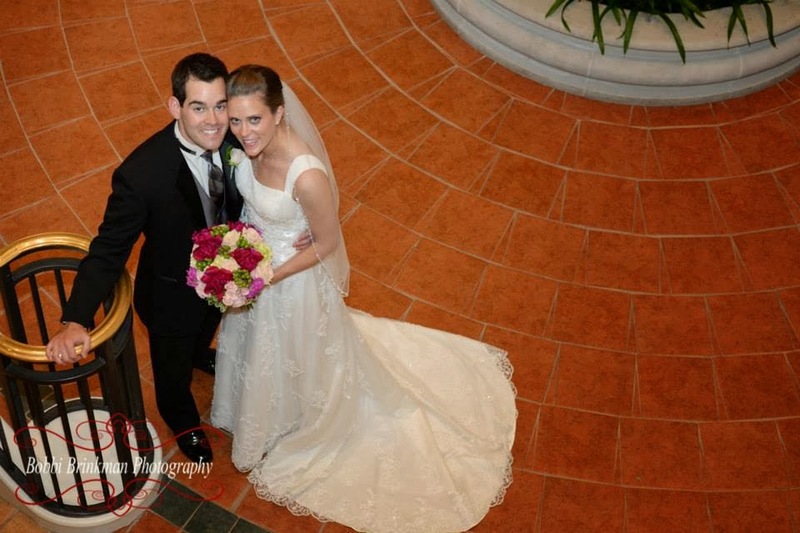 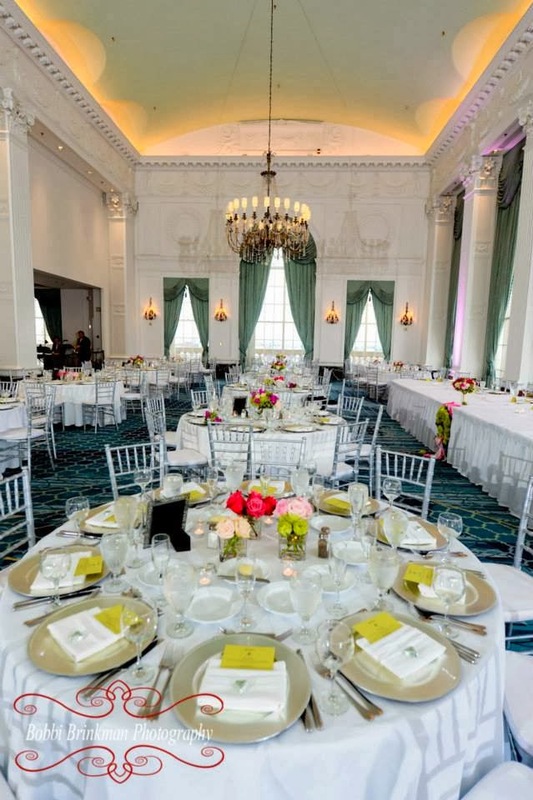 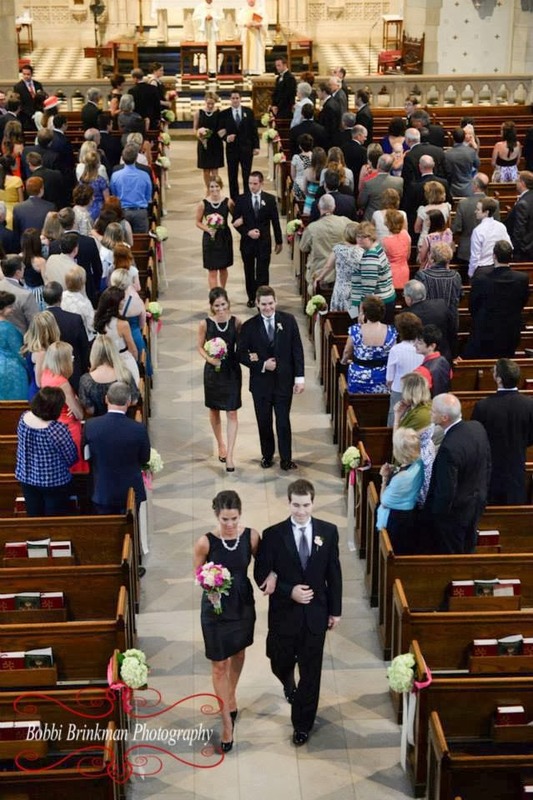 They were married at St. Luke the Evangelist and celebrated at the Renaissance Grand. 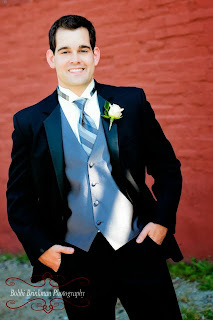 Here are some highlights from the happy day provided by Bobbi Brinkman Photography. Susan wanted a lush bouquet of bright citrus greens and pinks with hints of traditional subdued ivories and blush. 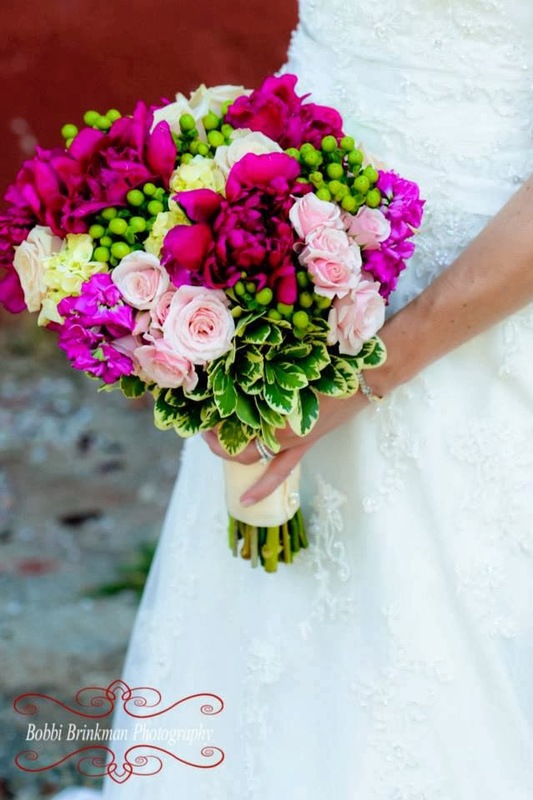 We used peonies, hypericum berries, stock flower, and roses to achieve this look. 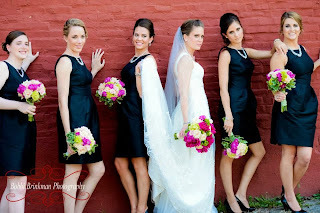 Bridesmaids carried flowers that complimented the colors of the bridal bouquet. 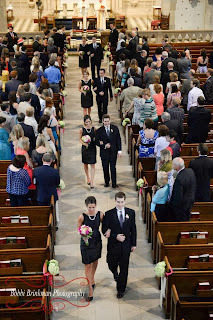 Bright green hydrangeas lined the aisle and were re-purposed at the reception later. The Crystal Ballroom all decked out. Four cubes of roses- one color in each- were lined up geometrically on half of the guest tables for a formal and colorful centerpiece. 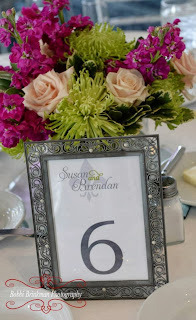 The other guest tables enjoyed a mixed arrangement of textures with the wedding shades. Best wishes to the lovely couple! 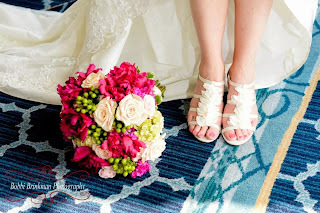 We had fun designing your flowers and working with you and your families!